Sparkling with delicate silver jewels and a beautiful golden shine, this Bejeweled HRIH Seed Syllable amulet is the perfect amulet for overcoming hostility at work and shield one from office politics and bad intentions. HRIH seed syllable is the sacred symbol of Avalokitesvara or known as Kuan Yin. Easily assessible and wonderful to look at, this amulet is the perfect accessory for your purse, wallet, clothing item, car, etc. The dimension of the feng shui Bejeweled HRIH Amulet itself is approx. 1.75" x 1". 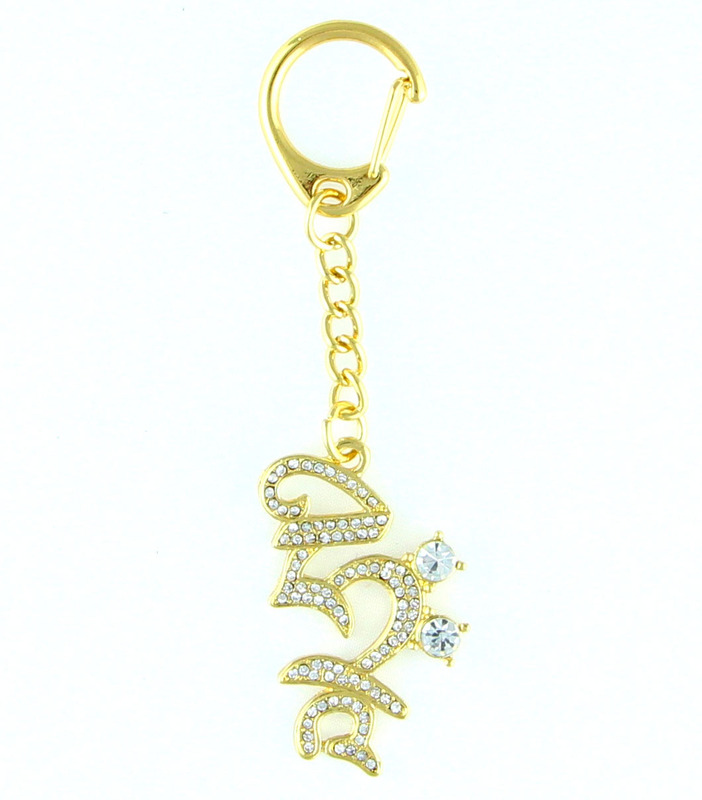 The overall length of the HRIH Seed keychain is approx. 4". It is made of alloy.